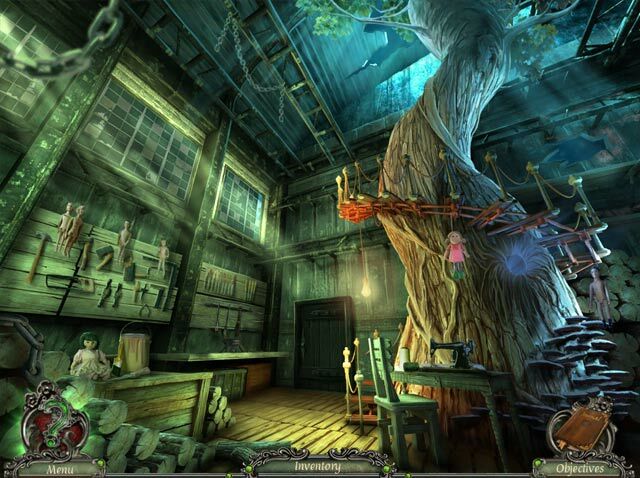 Solve the Mystery of Everlake in Rite of Passage: The Perfect Show! You are a teacher in Everlake, a small town recently struck by a series of unexplained child abductions. When your student goes missing, it is up to you to take up the role of a detective and save the children. On your quest you will uncover secrets, solve challenging problems and encounter enigmatic characters with unclear motives. In the town of Everlake nothing is at it seems, as the story of crime, mystery and supernatural events unfolds before your eyes. At the center of it all stands the old puppet theater and its elusive patron. The Perfect Show is coming. 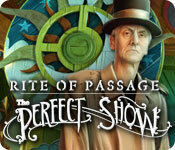 Rite of Passage: The Perfect Show is rated 4.4 out of 5 by 82. Rated 5 out of 5 by cejene from Wonderful Game! Bought this a long time ago and just got around to playing it. Wonderful! Keeps your interested every minute. Good story. This will be one of my top favourites. HOs are fun and interactive. You have to collect masks. I collected 54. Missed one. Perfect game for me. Rated 5 out of 5 by ghostlymystery from Awesome! loved this game! bought it on account of the images and didn't disappoint. beautiful graphics and locations, some fairly think worthy puzzles with great soundtrack. Loved the storyline which was well written and thought out, actually gave me a few shocks. Rated 5 out of 5 by Otma from The Perfect Show might be the perfect game I started this game not really wanting to find missing children but by the time I finished I was so into the game that I was not award of the passage of time. I wanted so much to find those kids and defeat the evil forces that took them. The Suspense had built up so much that by the end of the game, I was yelling at my computer screen. The Graphics are nice and spooky. The Story is excellent. The fun level - it has been an hour since I finished the game and I am still excited. If you want some excitement in your life get this game. IT ROCKS! Rated 5 out of 5 by IvanRic from One of the best! Absolutely loved this game and I cannot wait to start on the next one! The puzzles were varied and challenging, but not too hard to have to skip them. Took me a little over 5 hours to complete. Rated 5 out of 5 by terricT from Pleasant game I like to take my time to wander and poke around, so I prefer games with distinctive, pleasant environments and unobtrusive music. I want to be able to relax in a game rather than being on the edge. This game has what I've been looking for. Rated 5 out of 5 by bobbysian23 from Really enjoyed this game! I missed this game first time round but was alerted to it when the new Rite of Passage came out a couple of days ago. Can't believe I missed this game, it was great. I really loved it and was disappointed when it ended. Should have got the CE in hindsight. Storeyline - 9/10 - Another kidnapping story, but a little different to usual. Gameplay/graphics - 7/10 - Gameplay was smooth and quick moving around scenes - Graphics were ok, but not much movement on cutscenes - Very large area to investigate - many places to go. Some not accessible until certain tasks have been completed. Music/voice overs - 5/10 - Music I cannot comment on as I always switch it off. - Not much talking as you don't meet many characters. HOS/Puzzles - 8/10 - HOS were quite good. Junk piles but not too cluttered. - It ranged in difficulty. Some items easy to find, some not! - The sound when you found an object got on my nerves! - Not many puzzles throughout the game. Challenge - 9/10 - Even on casual, it ranged in difficulty. 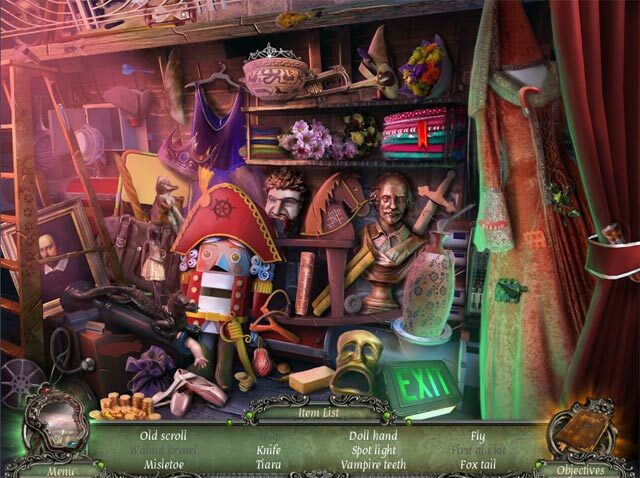 - Some Hidden objects were easy, some were tiny! - Lots of moving around the different areas. Have to think sometimes where to go next. Not just easy going from one thing to the next in order. What do you get - 8/10 - Note book, just held notes and objectives. No real hints. - No map - Good to see some collectables in a SE. 55 masks to find. - Usual hint and skip buttons with decent hints if required. Length - 10/10 - Perfect length for me. Long game for a SE. - Took me just under 4 hours to complete. - The time taken is also logged in your note book. Thoroughly recommended and now downloading the sequel! Rated 5 out of 5 by queenofgames52 from The Perfect Game!! I just finished playing the game and I must say I really enjoyed this one. The storyline is interesting and keeps you motivated to want to continue. HOs are fun and interactive and pretty clear. Puzzles are just enough of a challenge to keep you on your toes. I liked that the music was not very loud and over powering. The voice overs are fantastic!! You have to collect 55 masks. I only found 35. and it took me about seven and half hours to finish. All in all a Perfect game. Rated 5 out of 5 by helenbee from Well worth the buy One of the best games I have ever played. Challenging, lots of different scenes and lasts forever! Rated 5 out of 5 by MandyComer from Something different. I love adventure games, I've kind of burnt myself out on HOG but this game has a very good balance of both. The story line is really good, not like the everyday mystery. I finished on the easiest setting in just under 4 hours. 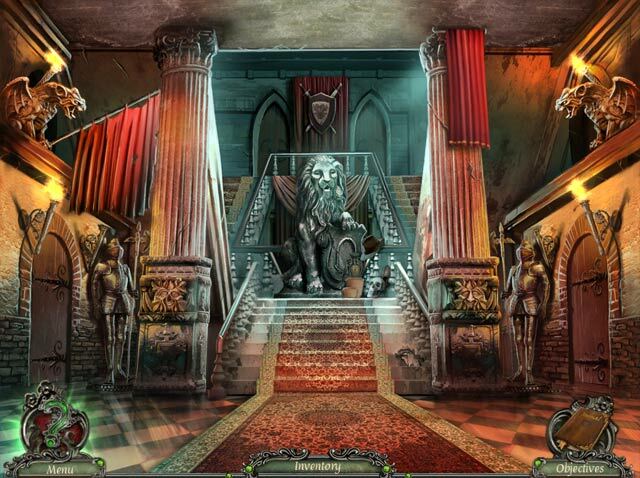 After your student goes missing alongside several other children, it is up to you to solve the mystery of Everlake.